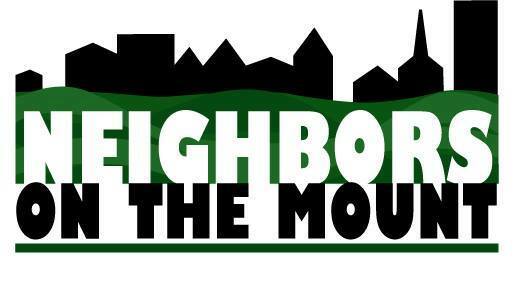 Mission: Neighbors on the Mount is a volunteer action group to help improve quality of life, public safety and community connections in Mount Washington and Duquesne Heights. All residents and business owners interested in building a stronger community are invited to participate. Vision: We see the Mount as a true community–where people know, care for, challenge and engage each other, as well as take pride in the unique beauty and potential of Mount Washington, creating a greater life together. The Neighbors of the Mount work to provide and support all kinds of activities in our neighborhood, such as community clean-ups, fun family events and much more. We partner with other community groups and organizations to contribute to the quality of life for the residents of Duquesne Heights and Mt. Washington. In April, we hosted the 2nd annual Shiloh Street Chili Cook-off. Next up is the Summer Solstice Happy Hour to officially welcome our newest local business, Coughlin’s Law Kitchen and Ale House, sponsored by the MWCDC and NOTM. Join us on Thursday, June 21, 2018 (5-7 pm) for some Pittsburgh themed door prizes and trivia. Coughlin’s Law will have a lot of great appetizer and drink specials for everyone to enjoy.